MODA’s Co.Lab is an experiential space inspired by the spirit of creativity that is fueled by coffee. 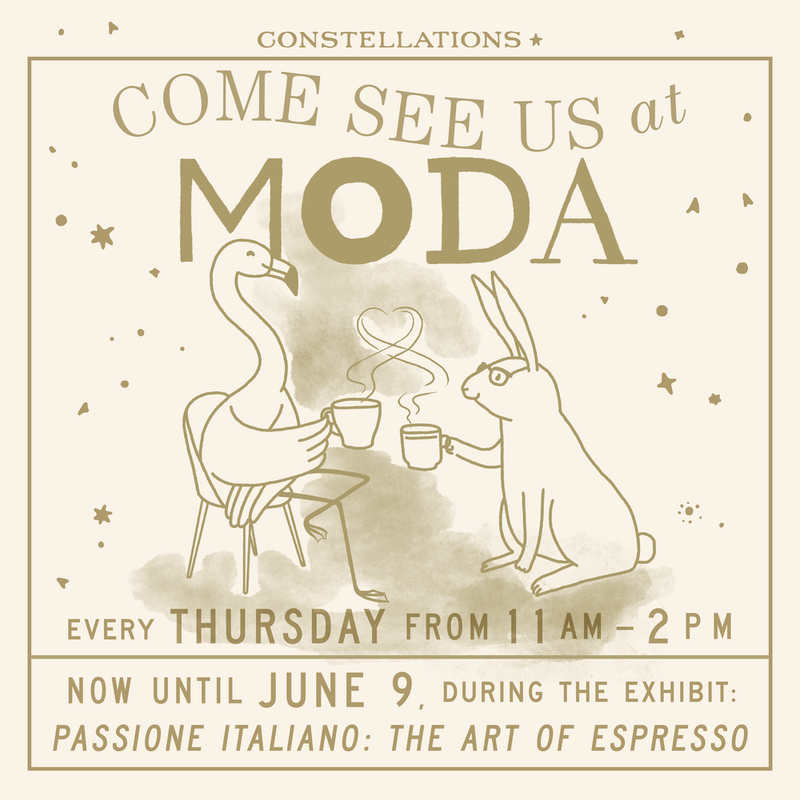 For the next months, MODA is collaborating with Constellations to bring innovative programming to this space every Thursday morning. On Thursday, March 7, join us for Constellations ‘s monthly discussion of smart articles in their “this is not a book-club” series, Periodical. Register to join the fun now! Constellations is a civic and socially based workspace on Auburn Avenue. constellations.community. Click here to learn more.